Where did the initial idea for the self-care haemodialysis programme come from? In March 2015, we decided as a team to implement a self-care programme in our unit. Two of the team members had attended the “Share Your Dialysis” (SYD) study days sponsored by the Nottingham NHS. After two days we came away feeling positively enthusiastic about SYD. We knew this could potentially change the lives of our patients and we were keen to get started. What were the first steps to implement the programme? We started by generating a notice board in the waiting room identifying the pros and the cons of SYD. We wanted the patients to feel supported rather than it to feel forced upon them. For those who were keen to get involved, we asked them to make their interest known by filling out the questionnaire. The questionnaire was a list of activities that they potentially would like to get involved in. The activities ranged from taking their blood pressure, filling in their flow sheets or setting up their trolley. Patients were also required to tell us on a scale of 0-10 how informed and confident they were with each activity at that point in time. This gave us an indication of their competency at the start. The whole principle of SYD was to do as little or as much as you like. 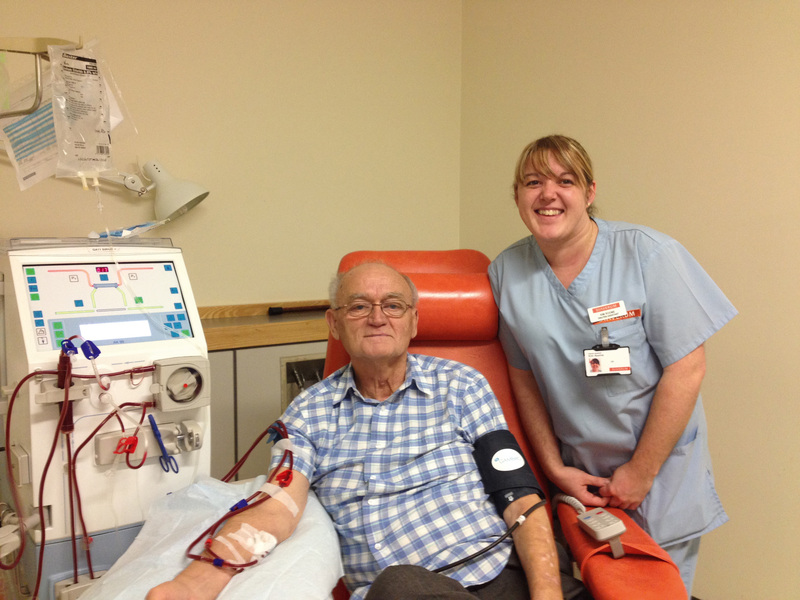 Self-care haemodialysis means that the patient takes an active role in his treatment. How are you doing this? To date five patients are now actively involved in self-care whether it be filling out their flow sheets, setting up their trolley or inserting their needles. One of our patients John Spencer who previously was on CAPD was really proactive towards this and was keen to get started. He started by filling in his flow sheet, followed by his trolley and then inserting his own needles. John is successfully needling himself via button hole procedure. 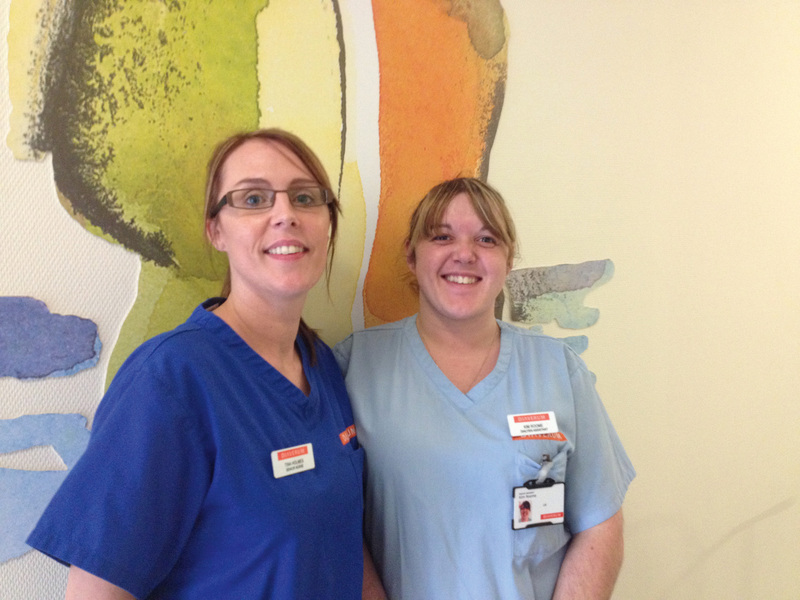 Claristine and Val now set up their trolleys and they are glad to be actively involved in their care. What is the feedback from the patients and staff? John commented on “how easy it was to do with the support and encouragement of Kim” and that it now gives him “control” and inspires him to take charge of his care. This was a great achievement for both John and Kim Roome who worked hard together in making this happen. The benefits of SYC is visible to see, the patients feel much better as they now feel involved in their care and they feel it has given them a bit of their lives back. The self-care haemodialysis programme in your unit is very successful. What are your plans for the future? To date there are a few more patients who are keen to get going with SYD. However as a team we wanted to approach it gradually and ensure that the patients currently on it felt supported and evaluated. With our dedicated Link Nurses, Kim Roome (Dialysis Assistant) and Tina Holmes (Senior Staff Nurse) we hope to deliver SYD to the other patients that have expressed a desire to get involved.